Trout Beck meanders lazily through the valley. 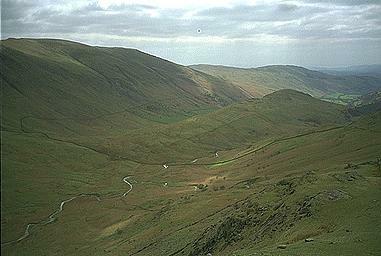 The great bulk of Yoke appears up on the left, and Troutbeck Tongue in the centre of the valley. My route involves crossing the beck and the wall, to continue to the left of the Tongue. Larger version of this picture.